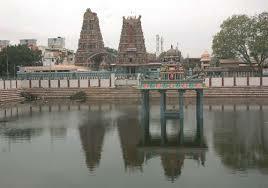 Here is Some Information about Vadapalani murugan Temple in Chennai Tamil Nadu India. 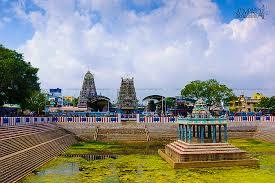 The Vadapalani murugan Temple is Located in Chennai Tamil Nadu.The temple was built about 125 years ago.The temple is dedicated to Lord Muruga.The temple tank by the side of the temple is believed to have curative powers. The temple celebrates Kanda Shasti, in a very grand manner every year. The Thai Poosam, in the month of January is also celebrated with awe.Annaswami Nayakar, a devotee of Muruga was the founder of the temple. 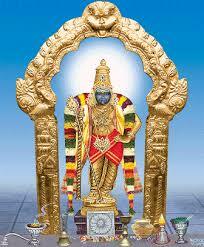 The idol here resembles the original Palani Muruga. The major parts of this temple are its sannidhis like the Varasiddhi Vinayaka, ChokkanÃ„Âthar, Meenakshi Amman, KÃ„Âli, Bhairava and Shanmuga. The temple is open from 5 a.m. to 9 p.m. Tourists, devotees as well as families visit the temple . It is also the preferred venue for marriage and more than 7000 couples get married here every year. 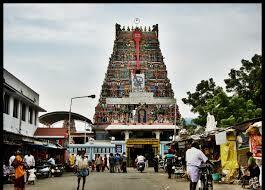 The temple is easily accessible from all parts of Chennai by means of local transport like bus, auto or rickshaw. The best time to visit the temple is from November to March, when the climate would be pleasant. Other attractions near the temple include Regional Train Museum, Lady of our Lourdes church, Ranganathan Street at T Nagar, M.Rm.Rm. Cultural Foundation, Government Museum, Egmore Museum and National Art Gallery, to name a few. Chithirai Tamil New Year Day falling almost on April 14, a day before or after occasionally, Chithirai Poornima-full moon day in April-May, 11 day procession festival in connection with Vaikasi Visakam in May-June, also in the months of Aani, Aadi and Avani Tamil months covering June to September, 6 day Aipasi Skanda Sashti in October-November, Panguni Kruthika Laksharchana in March-April with 3 day float festival are grandly celebrated in the temple. By Road : The many Public Transport and Private transport,Taxis Bushes available to reach Vadapalani murugan Temple in Chennai. By Rail: The Nearest railway station is chennai Junction. By Air : The Nearest Airport is Chennai Airport.